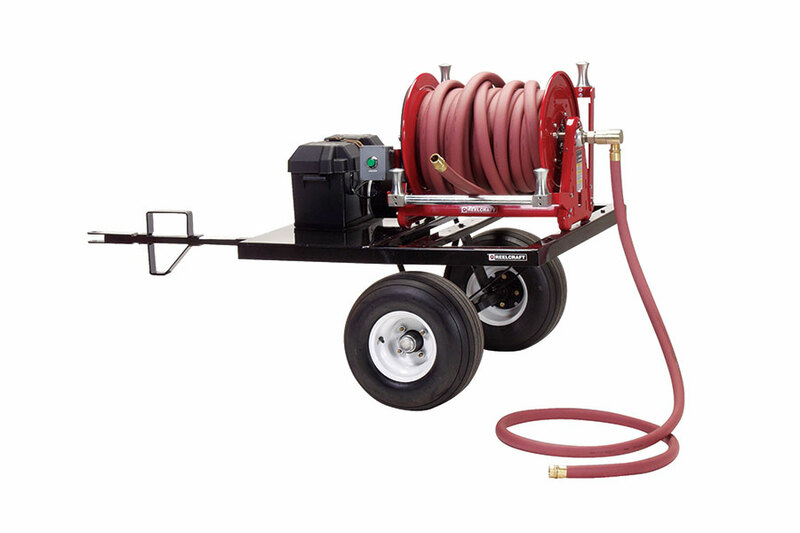 Hose trailer with hose reel that easily attaches to most vehicles. Main hose and battery not included. 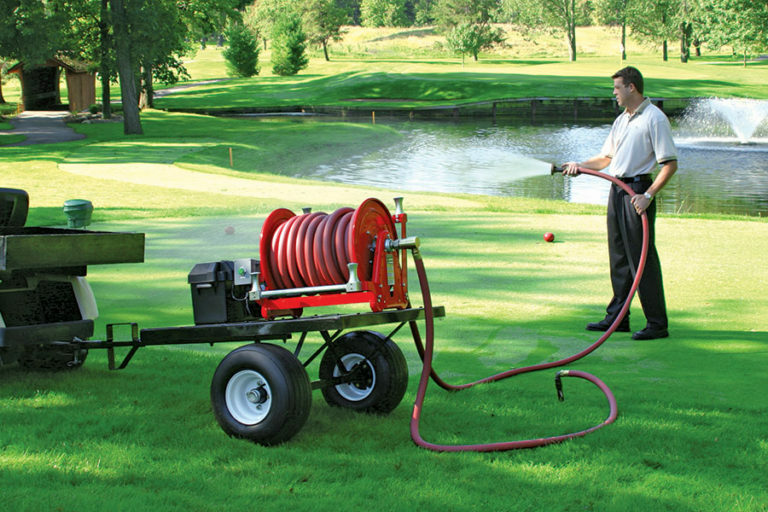 Choose from either electric or hand-crank hose reel. 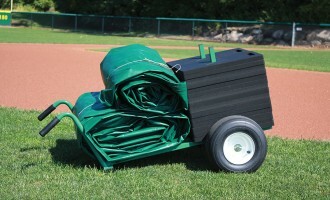 Self-contained hose trailer with either electric or hand-crank hose reel for 1″ hose. 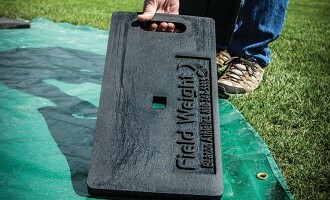 Easily attaches to most off-road vehicles or carts. Reel holds 100′ of 1″ hose. Electric crank requires 12V battery. 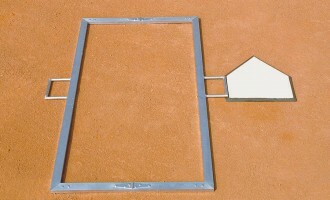 Includes 10′ supply hose for connecting to supply source.